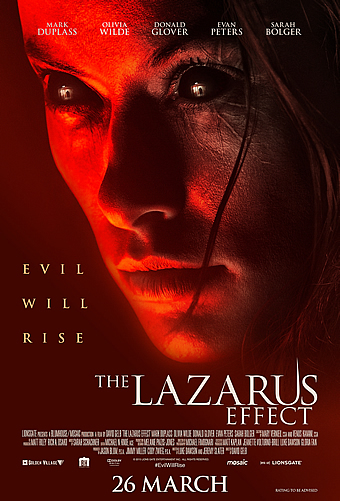 The Lazarus Effect sticks to using predominantly one small room as its home for horror. It focuses in on a tight-knit group of scientists who are researching and performing controlled experiments involving the resuscitation of freshly deceased lifeforms. The process is comprised of injecting a specially designed serum directly into the brain of the subject with a robotic arm equipped with a large needle. The group manages to bring an animal back to life but when a wrench is thrown into the gears and their progress is obstructed they end up rushing through another experiment. This leaves a scientist mortally wounded and the survivors with moral quandaries: should they bring them back and if they do, will they ever be the same? 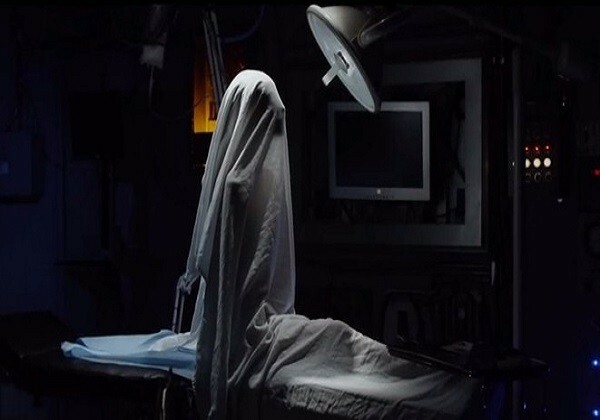 The cast features a slew of actors I am familiar with from other projects, including Mark Duplass (The League, Creep), Olivia Wilde (TRON: Legacy), Evan Peters (American Horror Story, X-Men: Days of Future Past), and Donald Glover (Community, The Martian). Ray Wise (RoboCop, Twin Peaks) also has a small cameo. I don’t know how I let a movie starring this many actors I’m keen on slip by. It was probably because the trailers for The Lazarus Effect made it look like a cheap, rushed attempt to take teens money at the theaters. The PG-13 rating didn’t help the film; it never does when dealing with the films in the horror spectrum. A lack of gore didn’t stop me from enjoying this movie. The Lazarus Effect explores the questions we all have about death. What exactly happens to us? Where do we go? How does it all work? I find this topic very fascinating so my I think this particular interest had a large part in keeping my eyes glued to the screen. The film immediately builds a nice sense of family in the workplace and the characters all have unique likable traits and/or backstories so it hit me unexpectedly hard when one of the scientists went down. It was everything that happened after they came back that started the downfall of the film. The trial animals brought a creepy uncertainty to scenes but the human subject doesn’t have an as effective draw, maybe because it isn’t that out of the ordinary or shocking. This goes with the fact that The Lazarus Effect could have benefited from a twist or two. The plot is extremely linear and you won’t find a single surprise within. Also, the resurrected scientist isn’t that scary of an antagonist. While the abilities they discover are peculiar, they aren’t used in any ways that would separate them from any other film incorporating someone with the same gifts. The blackened out eyes are a detriment to the character, coming off unnecessarily cheesy, as do the cliche possessed mannerisms. Throw in a half-assed twenty-minute wrap up and you have the final product: a film that could have been better, but could have also been a lot worse. The ideas about the afterlife could have been probed to a greater extent and the experiments could have been more shocking. The kills could have been more creative and the plot deeper, with added unforeseen turns. If it feels like you just read the word “could” a lot you’re not imagining it. 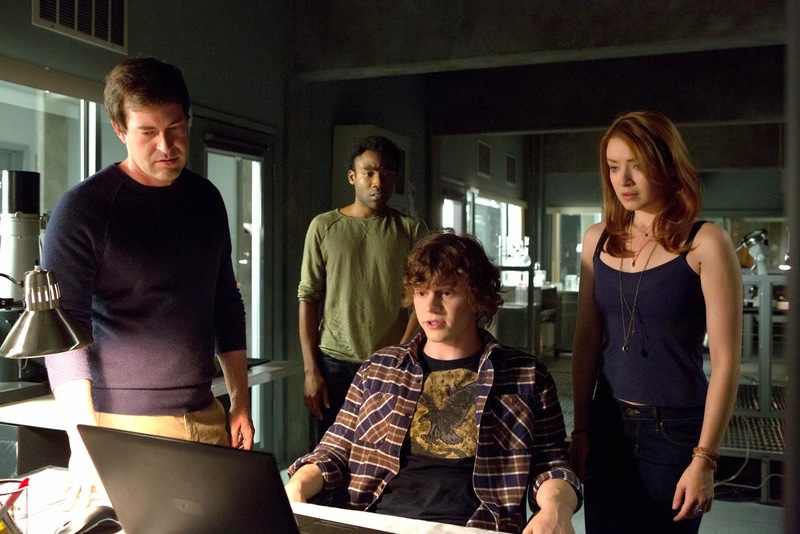 The Lazarus Effect could have delivered on a greater scale but squandered its potential. This entry was tagged American Horror Story, Community, Creep, Donald Glover, Evan Peters, Horror, Mark Duplass, MASSACRE MARATHON, Olivia Wilde, PG-13, Ray Wise, robocop, The Lazarus Effect, The League, The Martian, TRON: Legacy, Twin Peaks, X-Men: Days of Future Past. Bookmark the permalink.